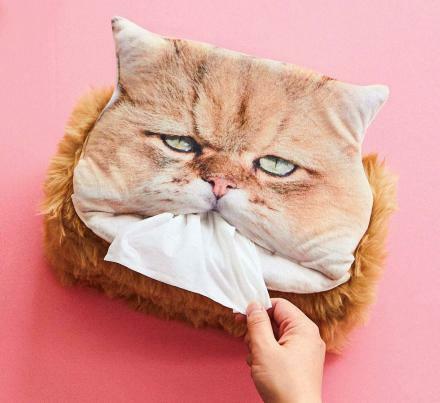 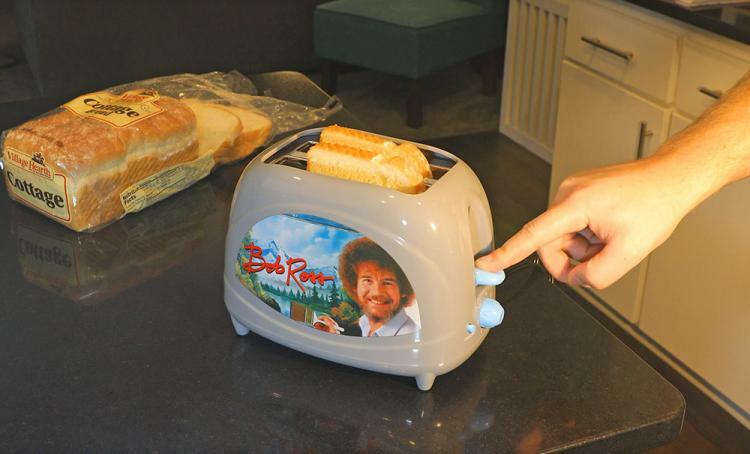 If you're a die-hard Bob Ross fan like most humans are, you've most likely seen our list of the best Bob Ross products that every Bob Ross lover needs! 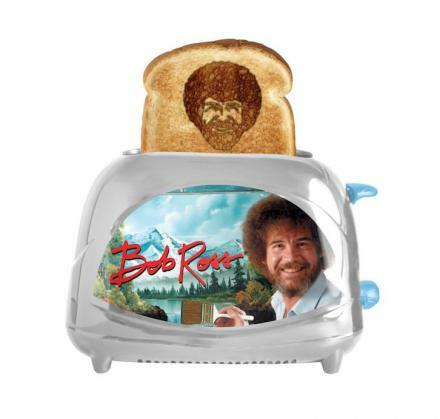 But one thing that was missing from that list is of course this Bob Ross toaster. 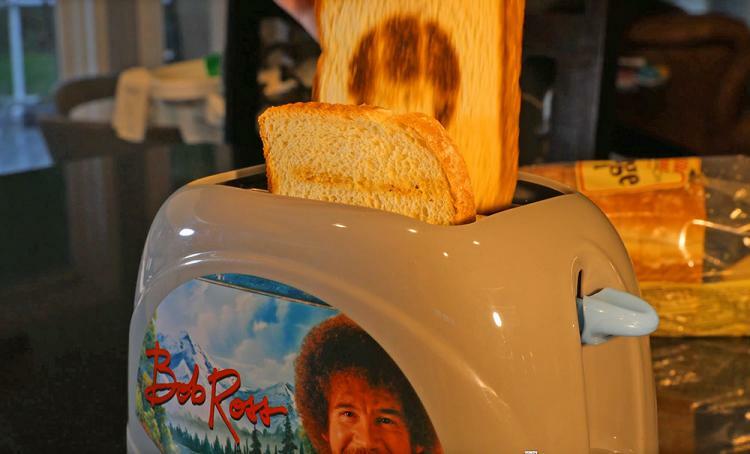 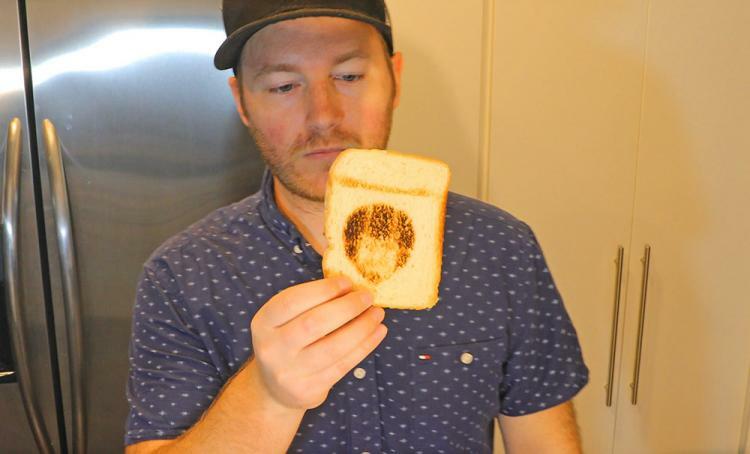 Not only does it toast your bread and feature Bob Ross himself right on the front of the toaster, but it'll actually toast Bob Ross's Face right onto your bread. 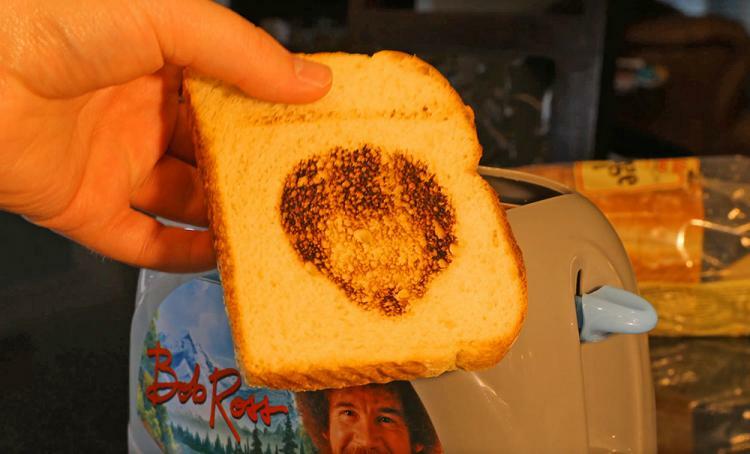 This way, as you bite into your toast, your love for Bob Ross will flourish down your intestines, make it's way into the sewer system, and his love will spread throughout the world. 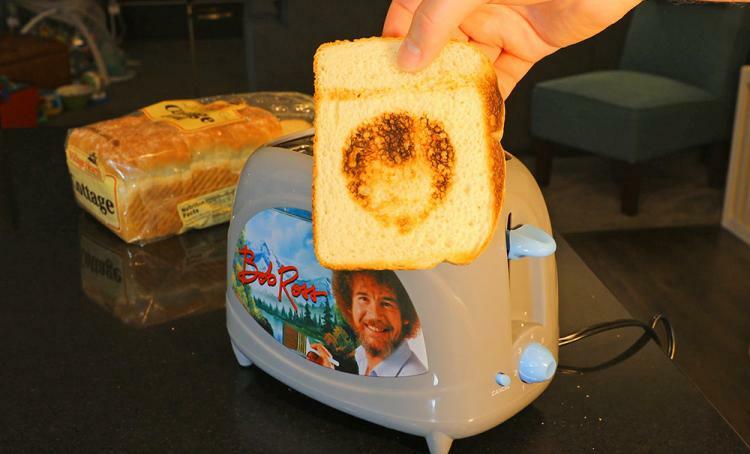 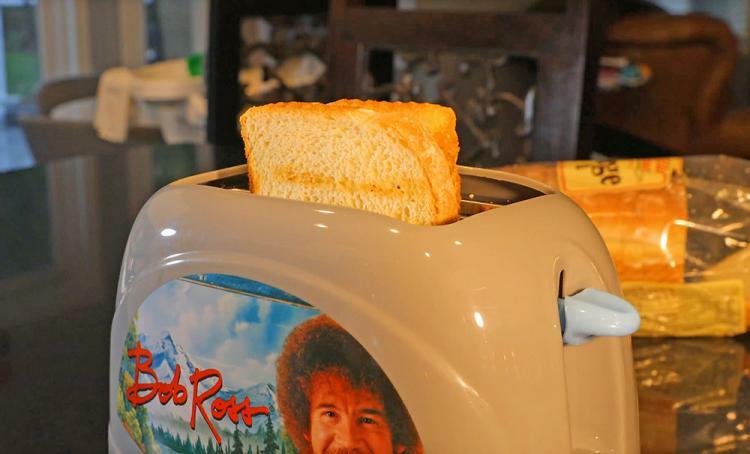 The Bob Ross toaster works just like any other standard toaster, just pop in one or two slices of bread into the slots on the top, press the lever down, and wait while it toasts Bob's face right onto your bread. 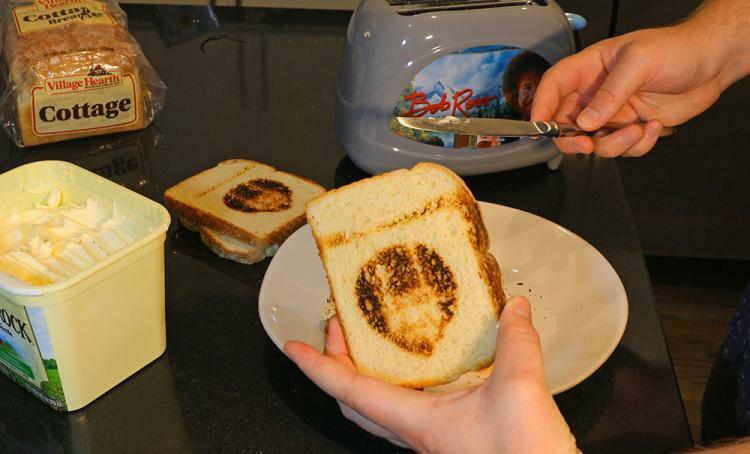 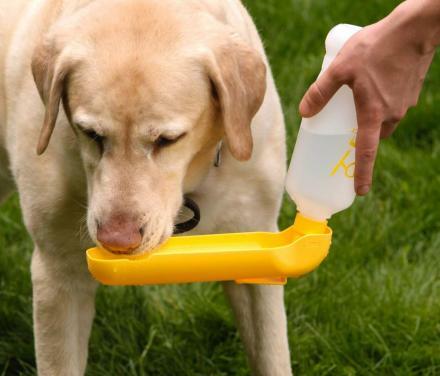 You may just want to eat the bread without any spread so that you won't cover up his face! 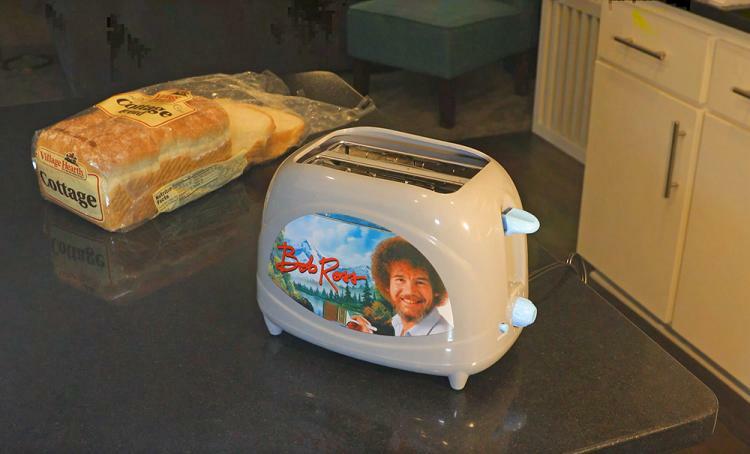 The Bob Ross toaster has two bread slots, features reheat, defrost, and quick stop functions, an adjustable thermostat, and it measures 10 inches wide x 8.5 inches tall x 5 inches deep. 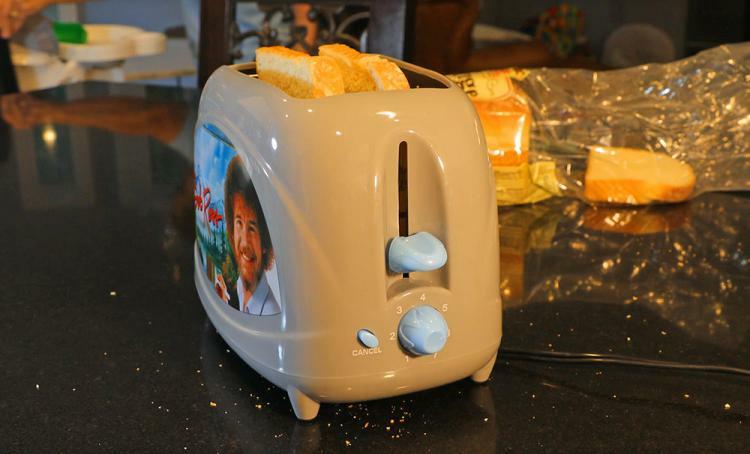 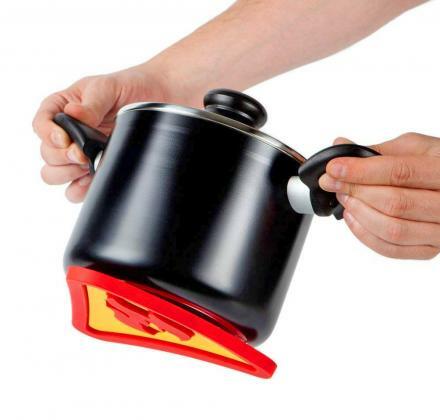 Check out the Bob Ross toaster in action via the video below.